So, even thought it's already May (how? 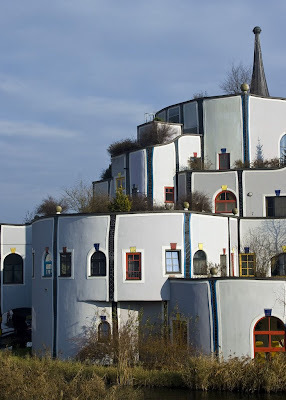 ), it seemed that the common thread for me over the last few months was Hundertwasser. Somehow, his name kept coming up. 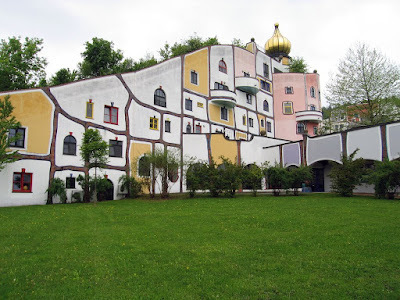 So, I decided I had to spread the love about Friedensreich Hundertwasser. 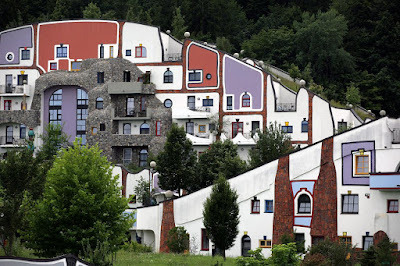 "A world full of colour", says Friedensreich Hundertwasser, "is synonymous with paradise". This begins my joy of his work. But I have come to discover he is more than just a great painter and architect. He was an intellectual and thought deeply about the human condition and nature, the importance of individualism, rejecting straight lines. His work incorporates natural features of the landscape, which I find the most breathtaking. His work is irregular, but seem to fit just right to me. 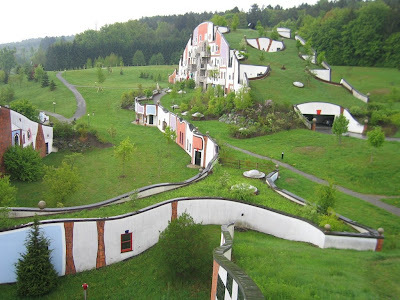 I need to get to Austria to check these out in person.